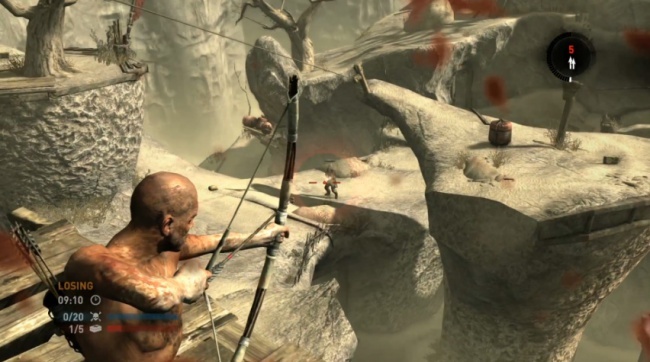 The first bit of downloadable content for the multiplayer features of Crystal Dynamics’ Tomb Raider is now available for download on the Xbox 360. Included in this additional content are three new maps playable on all the unique multiplayer game modes. This multiplayer map pack, titled Caves and Cliffs, also pits the Scavengers up against the crew members from the shipwrecked Endurance. Scavenger Caverns: An extensive subterranean network of caves used by the island’s scavengers as an underground prison. Cliff Shantytown: This scavenger settlement was built high up on the island cliffs. Its many layers hide some of the deadliest traps on the island. The Burning Village: A raging fire has embraced an abandoned Japanese village, the burning buildings offer multiple ways to escape or engage your enemies. You can pick up this hot piece of DLC from the Marketplace for one easy payment of 400 MSP. Have you been playing much of this reboot’s multiplayer modes? Will you purchase this extra content to add to the fun? Let us know what you think by leaving a comment below!